My plan for financial success as a professional Santa. There is no reason why Santa should be restricted to a short period of time between Thanksgiving and Christmas. In fact, since there are so many children who are afraid of Santa, I might be able to fix them by exposing them to Santa all year long. I have some great ideas on this. First of all, why not have Santa on New Years? I mean Santa looks like Father Time. I could tell everyone that Father Time is REALLY SANTA! I could wear a big chain with a clock around my neck and sing Auld Lang Syne. I could probably squeeze quite a few extra bucks out of the week between Christmas and New years too. Then Santa will be just another part of all the New Year’s festivities. And then there’s Valentine’s Day. Valentine is a saint and Santa is Saint Nicholas. Valentine’s Day is all about love, and of course we all know that the business of portraying Santa is all about love too. And there’s lots of red and white in Valentine’s Day decorations. It’s a perfect fit! I could even make extra money off a kissing booth at Valentines banquets. Everyone knows how much the ladies just love to kiss old Santa. I could even charge extra for a photo! Then Santa will be just another part of all the Valentine’s Day festivities. We’re already to Saint Patrick’s Day. It’s another one of those “Saint holidays” and leprechauns are really just elves wearing green suits with flat topped hats instead of red suits with pointy hats. And leprechauns are very giving just like Santa because they give away pots of gold. Wait a minute! Saint Nicholas gave away gold too! That makes it a perfect fit! Then Santa will be just another part of all the Saint Patrick’s Day festivities. Now Easter is next. This might be tough because I’m going to have to compete with that stupid Easter Bunny. Wait, I have it! The Easter Bunny has white fur and Santa has white fur. They both come secretly at night and leave gifts for children. So, I could tell them that the Easter Bunny is really just a pagan version of the Christian Santa, and I am simply trying to restore Santa to his rightful place in Easter. I might even be able to take over the Easter Bunny’s photo operation at the mall! Besides, everyone knows kids like Santa more than the Easter Bunny. Then Santa will be just another part of the Easter Festivities. Next is Memorial Day. It’s a bit of a stretch but I think I can do it. They always have parades on Memorial Day right? We all know that Santa must be in every parade. Who among us can pass up the ego trip of riding down Main street on a huge float and waving to thousands of our adoring fans? Of course it is Memorial Day and not Christmas, so Santa won’t be the big finale of the parade. But that’s OK. He’ll just be another float somewhere in the middle. Maybe they can put Santa right after those little Shriner cars and just before the local beauty queen. Then Santa will be just another part of the Memorial Day festivities. Gosh, I’ve made it half way thru the year. I’ll probably need some vacation time in June because July is gonna be my second biggest paycheck of the year. Man, I can see all those big fat juicy “Christmas in July” BOOKING$$$$ just waiting to be picked! And since you can’t have a real “Christmas in July” event without a Santa, I can really stick to ‘em with the fees. Maybe I can make even more money in July by doing the count down to the fireworks shoot off on the Fourth. It’s really just the same as a countdown for a tree lighting ceremony. Then Santa will be just another part of the Fourth of July festivities. Now in August I’ll have to take some more vacation from all that activity in July. Plus, I’ll need time TO COUNT ALL MY MONEY!!! Next comes Labor Day in September. Now this might be a little tricky because Santa is management and the North Pole is a non-union shop. But I think I have an angle on it. Everybody has picnics on Labor Day right? They always eat lots of high fat and high carb foods at those picnics. Bingo! Santa loves to eat all that junk. That’s why he’s so fat! I can get booked to appear at all those picnics wearing my Santa casual shorts and Santa Hawaiian shirts and my red Crocs. It will be a blast! I’ll get all that FREE FOOD and GET PAID TO EAT IT! Then Santa will be just another part of the Labor Day festivities. Now Halloween is easy. We have already established the fact that many children are afraid of Santa and love candy. Halloween is all about fear and candy! It’s a natural fit for Santa. I could change up the tired old red and white suit for an orange one with black fur. I could get booked at Halloween parties and scare those precious little ones just like I do at Christmas time! Instead of reciting The Night Before Christmas I could tell ghost stories and give away orange and black candy canes. And since everyone has to buy Halloween candy, I could make EVEN MORE MONEY by purchasing large wholesale quantities of orange and black candy canes and selling them to the parents. Then Santa will be just another part of the Halloween festivities. So you see, Thomas Nast was an idiot. He had the stupid idea that Santa should live at the North Pole because it was a mysterious and far off place at the top of the world. Since nobody in his time could ever travel there it was a perfect explanation of why nobody ever saw Santa. Wait a minute, NOBODY EVER SAW SANTA?!?! If nobody ever sees Santa then how am I supposed to get money out of this deal? What was Nast smoking in that pipe of his? Heck, since I’m gonna spread my Christmas spirit all year long, why draw the line at a few holidays? I might as well let ‘em see Santa 365 days a year! I mean you can’t really have too much of a good thing right? And then, when they’ve had so much Santa, that Santa is just another part of everyday life and no longer special, and all the bookings have dried up, I won’t have to worry because I’ll already be RICH off this Santa racket. And when I’ve blown all of my ill gotten gains on wine women and song I can go back to being…a magician and a clown. You forgot Groundhog Day and Presidents Day! New Years Eve is the Orthodox Greek Christmas Eve. Yes there are still Santas going out then. You have made a case that I am dealing with myself. Santa should be kept as special as we as Santas can keep him. Sometimes we go overboard, not for bad reasons, but we must be careful. Excellent entry. Mixed emotions when reading your entry. 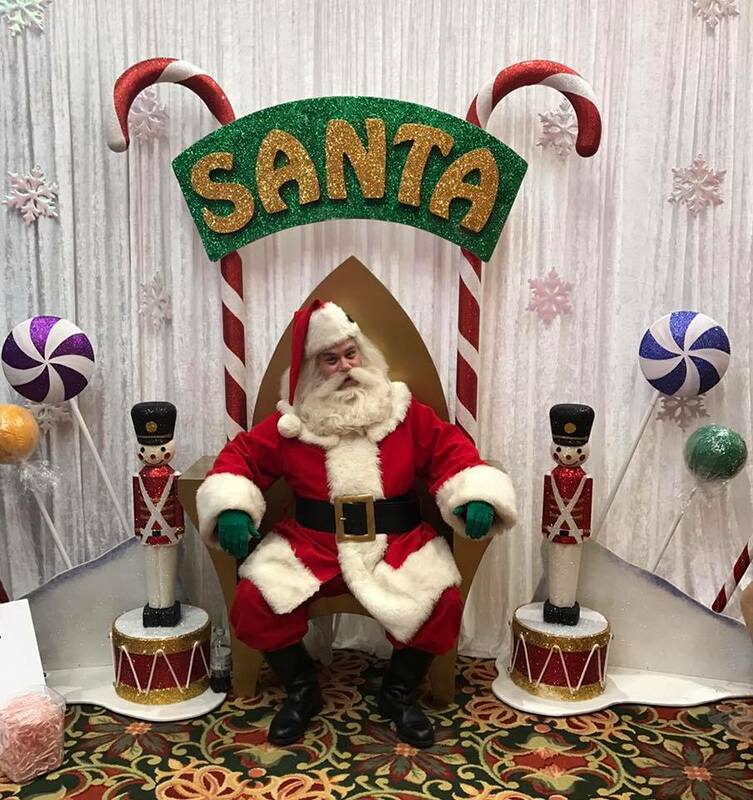 Being married to a professional year 'round RBS yet not portraying Mrs. Claus due to being wheelchair bound, I am what I consider a "professional observer" !! It's fun to see the interaction of RBS throughout the year in their festive casual wear. 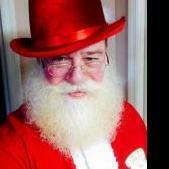 I especially enjoy arranging the MN Santa gatherings as well as those very fun trips to SC, IN and Gatlinburg, TN. Not every Professional Santa is out to make the big buck....many just enjoy spreading happiness and love throughout the year. I don't believe you were intentionally throwing all professional santas into one group because that is profiling. I do believe you went overboard in your article by ending: "And when I’ve blown all of my ill gotten gains on wine, women and song I can go back to being…a magician and a clown." OUCH....that comment really hurt even me, the "professional observer". The blog post is satire. It is not meant to be taken seriously. Chris... you paint with sarcasm like Rockwell painted with oils. Excellent blog brother. My wife says I paint like a monkey in the zoo...with poo.